One of the great attractions of a career in haematology or in any other clinical pathology discipline is the opportunity to contribute to continuous progress in understanding the causes of diseases and thus to improvement in therapy. Over the past 40 years I felt I’d been fortunate to be working in continuous innovation and this progress was widely recognised. Or so I thought until the following surreal experience. Lord Saatchi came to the Academy of Medical Royal Colleges (AoMRC) in mid-March to explain to the assembled Presidents why his private Bill on Medical Innovation was necessary. I remain unconvinced that it adds anything useful to progress in medical research, clinical investigation or therapy. It risks undermining disciplined adherence to evidence-based and protocol-driven clinical trial work overseen by ethical and peer review. He described his experience of the management of his wife who presented with advanced ovarian cancer, in particular the manner in which he had been told that there was no treatment that could prolong her life. He described also how, following her death, he had discussed with senior legal minds his belief that doctors were afraid to take risks in trying new treatments. They agreed that, in these circumstances, we doctors see a red light in our minds which prevents us from taking risks which could lead to litigation. This led him to conclude that there had been no useful progress in cancer research or treatment for decades and that all of us needed to be encouraged in law to innovate. He did not describe any such conversations with leaders in cancer research and treatment so one could assume he didn’t have them before this meeting. Meetings of the AoMRC can be tedious and divisive but this one was remarkable for the colleagues’ unanimous, professional rebuttal of Lord Saatchi’s assertions. My contribution was to give a brief explanation of progress in the research and treatment of leukaemia; I’ll assume you know the details. One cannot tell this 50-year-old story without a sense of optimism for further progress in these diseases and other tumours, reports of which are increasingly frequent. Other Presidents were equally clear in their explanations as to why he was wrong. I wondered at the time how our noble friend would react to these polite and kindly accounts. We were told a few days later that he felt we were a tough lot, which presumably meant he might have realised he had made a mistake, at least in not anticipating evidence-based disagreement. None of us at the meeting could recall any experience or evidence to suggest that the possibility of litigation sometimes deters doctors from innovation. The medical defence unions agree. The NHS Litigation Authority says such claims in litigation are vanishingly rare (0.01% of payments) and are based on allegations of the sort of recklessness which this new Bill might encourage. Lord Saatchi’s PR team have not produced any examples of inhibition of research and development for this reason. But “No rational argument will have a rational effect on a man who does not want to adopt a rational attitude” (Popper), so there has been no let-up in the propaganda pumped into the media. The view of the Saatchi team and its friendly, leading legal minds seems to be that doctors are unable to understand the law in relation to negligence. Judge for yourselves whether this Bill contains sufficient safeguards against what one journalist has called “freelance have-a-go heroes who experiment on their patients”. I remain unconvinced that it adds anything useful to progress in medical research, clinical investigation or therapy. It risks undermining disciplined adherence to evidence-based and protocol-driven clinical trial work overseen by ethical and peer review. Nobody could deny that serendipity plays a part in medical research but it is of little use without a systematic structure. Running through all clinical research are at least three basic principles. The first is an absolute need to obtain informed consent from the patient. This is often difficult in the presence of evidence. The second is an absolute need to be able to explain to patients what are the potential risks and benefits of a new therapy. This is often difficult in the presence of evidence. The third is an absolute need to account for the outcome of innovative therapy. This Bill does not require that doctors are in possession of such evidence and places no obligation on anyone to determine whether innovation based on little or no evidence has been either effective or harmful. Further surreal discussion with the Secretary of State and others at the Department of Health (DH) suggests that no-one around him wants this Bill to proceed but that no-one can stop it. 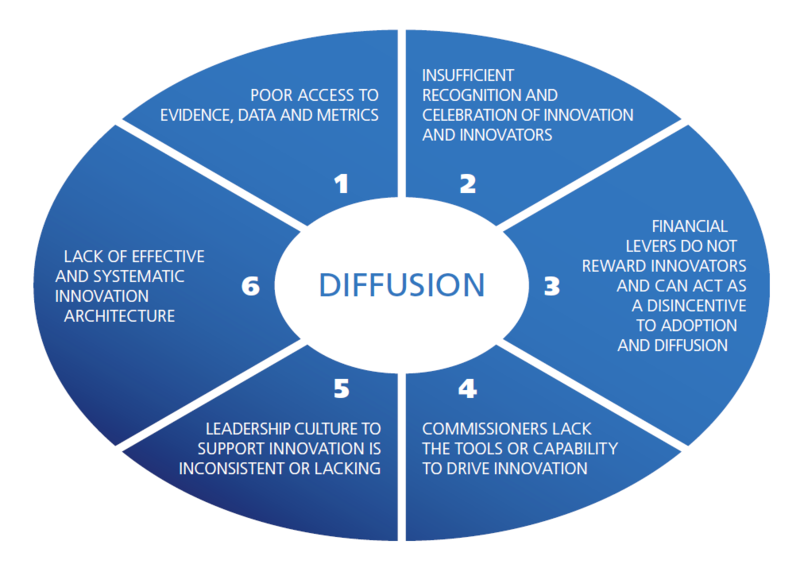 This is curious because the Government’s own publication, Innovation, health and wealth (2012), describes the six most important barriers to innovation on page 10. Fear of litigation is not one of them. This publication identifies many more barriers to research and development to which one can add another example of bad law, the Human Tissue Act. Reform of that seems to be taking an inordinate time despite the recommendations of the McCracken report to which this College contributed and which were accepted by Ministers in their entirety. This College and the Human Tissue Authority are not aware of any progress within the DH in making the requisite reforms to this Act, none of which has any associated risk and all of which would be of great benefit to training, research and development on which innovative therapy is dependent. The last discussion at the DH also suggested a degree of confusion as to whether this Bill is intended to encourage innovation or intended to reduce litigation costs, or both. This raises questions about three other related aspects of the Bill. The first is the lawyers’ difficulties with the ‘Bolam test’ in dealing with cases of alleged negligence. Dealing with this Bill has seemed at times like being a minor character in a novel by Evelyn Waugh. The question of professional negligence is problematic, the arguments are often complex and the law has always struggled to strike a balance between the interests of the doctor and the patient. This Bill does not seem likely to help when an innovator cannot find either an evidence base or a responsible body of opinion to support what he or she wishes to do. Lord Scarman’s view was that the Bolam principle does not absolve the doctor from the need to obtain informed consent having described the “inherent and material risk” of the treatment proposed. The second is the DH’s touching belief that the multidisciplinary team meeting (MDTM) or the Responsible Officer can and will always reliably act as a responsible body of medical opinion. Several of the professional representatives at the DH meetings pointed out that there is a degree of variation in the performance of MDTMs that might reduce their utility (see here). There is some controversy about where MDTM-directed care is reliably helpful. The other and equally important issue with MDTMs is not whether they are fit to manage the desired level of innovation but that this Bill might undo much of the good work that they have done. This work is not sufficiently appreciated and celebrated. Examination of whether they are working as we intended is evidence of progressive innovation of their processes, not of a need to encourage colleagues to bypass them which this Bill might. The third is the potential legal trap set between this Bill encouraging risky innovation without an evidence base and the proposed new offence of ill treatment or wilful neglect. Progress with this second law is slower than with Lord Saatchi’s Bill so it’s not known yet how it will be phrased. Perhaps the distinction between reckless innovation and deliberate harm will be clearer once a few cases have been through the hands of the lawyers in court. The Secretary of State has asked Sir Bruce Keogh to draw up proposals for an “innovation body” which would overcome, in real time and at a local level, all obstacles to innovation. This body would require considerable expertise and powers to overrule and nullify immediate and subsequent obstruction or complaint from existing bodies such as Trusts’ R&D committees, to name but one of many. MDTMs could not do this. The new body’s constitution and function would be dependent on an understanding of the powers of the other regulatory mechanisms it was designed to counter, another reason for a systematic review of these regulations in preference to yet more unnecessary and potentially damaging new laws. If this mechanism or body is to be created to manage the practical application of this law, then surely part of the machine must be to have the Medical Examiners (ME) all in place so that there is some way of determining if this sort of innovation has led to “avoidable death”. Despite all our efforts to push the relevant politicians and the civil service there is little evidence of progress in the establishment of the ME network. So here’s the surreal interim conclusion. Dealing with this Bill has seemed at times like being a minor character in a novel by Evelyn Waugh.